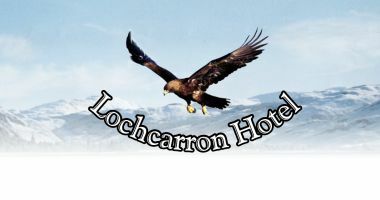 The Lochcarron Hotel is a family-run hotel standing in a superb loch side position with magnificent mountain and sea views. It is located in the village of Lochcarron in the heart of Wester Ross on the West Coast of mainland Scotland, one of the most beautiful areas of the UK which featured in the recent BBC2 series "Monty Halls' Great Escape". 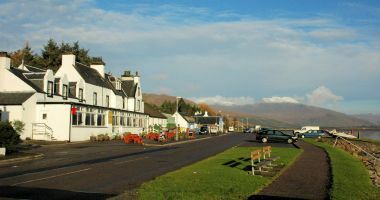 Applecross, where Monty and his dog, Reub, made their home in the series, is only some 18 miles from here and is reached via the spectacular Bealach na Ba, the Pass of the Cattle, views of which appeared several times in the TV series. 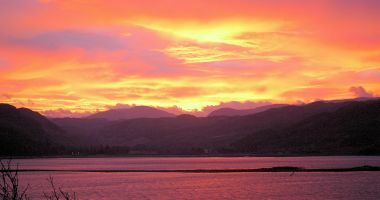 We are directly on the route of the North Coast 500 which is being promoted as Scotland's answer to Route 66! 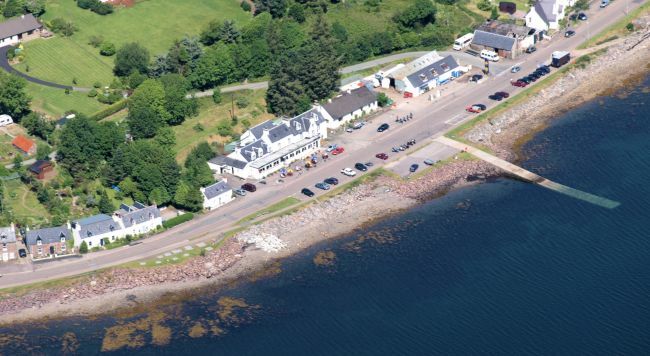 This is a 500-mile route around the whole of the North of Scotland which will undoubtedly become popular with classic car owners, motorbike clubs, cyclists - and perhaps even walkers! Our hotel is an ideal stop-off point on your trip, whether it be for an overnight stay, evening meal, lunch or just a morning coffee. 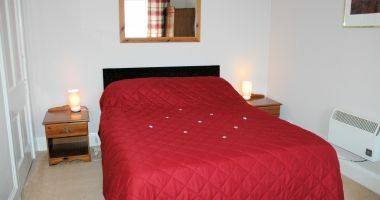 The hotel has 11 bedrooms, all with private facilities and one having wheel chair access and an en suite wet room (More information). 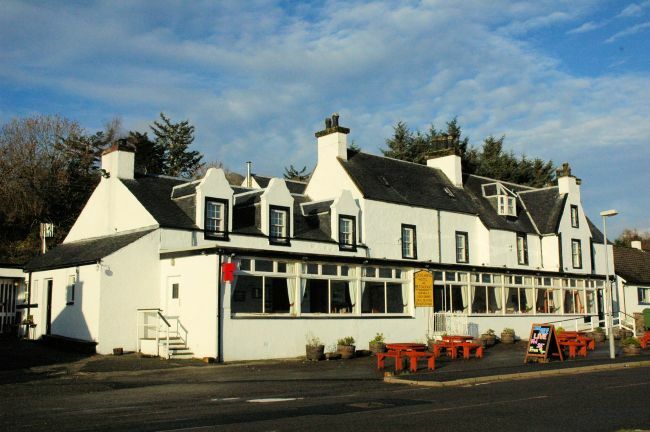 There is a homely lounge bar with a welcoming open fire and a comfortable restaurant from which there are stunning views across Loch Carron. 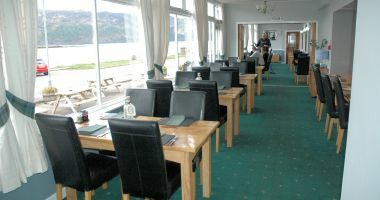 The hotel is open to non-residents and good food is served in the lounge bar as well as the restaurant. Seafood is a speciality and is locally sourced whenever possible. 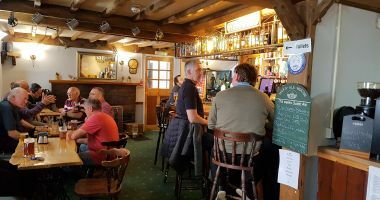 There is usually a choice of 3 traditional real ales served on handpump as well as a wide selection of some 60 single malt whiskies. We accept most major credit and debit cards. We now have free wi-fi Internet access available throughout the hotel. 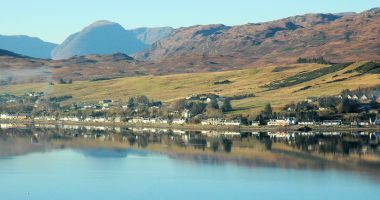 Lochcarron stands amongst some of the most magnificent scenery in the British Isles and makes an excellent base from which to tour the area with places such as Plockton, Applecross, Shieldaig, Torridon, Gairloch and even the Isle of Skye all being within easy motoring distance. 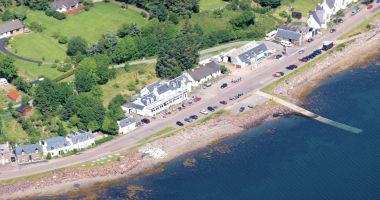 The whole area has an abundance of wildlife and is a paradise for all those who love outdoor pursuits such as walking, climbing, sailing (there is a public jetty immediately across the road from the hotel), fishing, birdwatching, photography, etc.